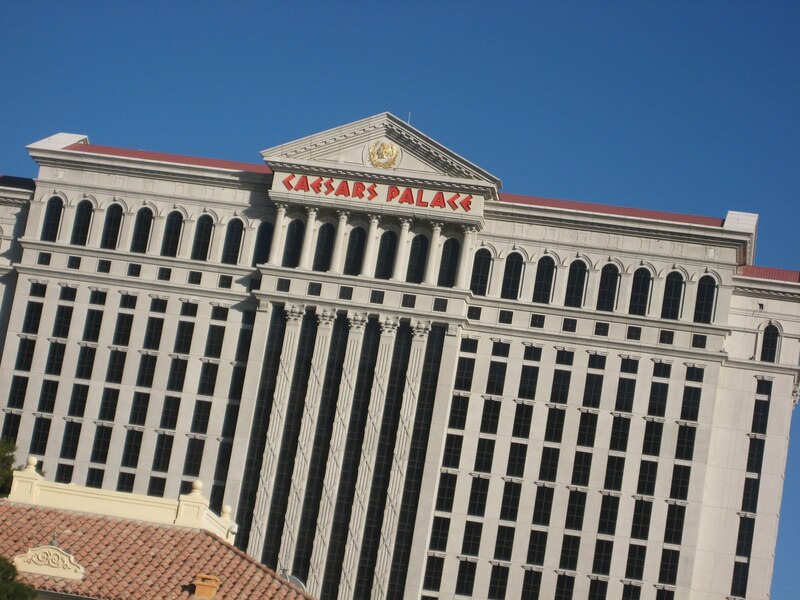 I was lucky enough to go to Las Vegas last week for MarketingSherpa’s Email Summit, held at Caesars Palace. Good conference, good to see friends, to meet some folks I’ve been in touch with via Twitter IRL, and make new connections thanks to my tendency to over-tweet when I go to events like these (no kidding; I posted 118 tweets in three days, the most of anyone else at the conference). Learned some, networked a bit, represented my employer well, and would call the trip a productive one. Blah blah blah. This isn’t my work blog. I don’t need to defend why I was there. 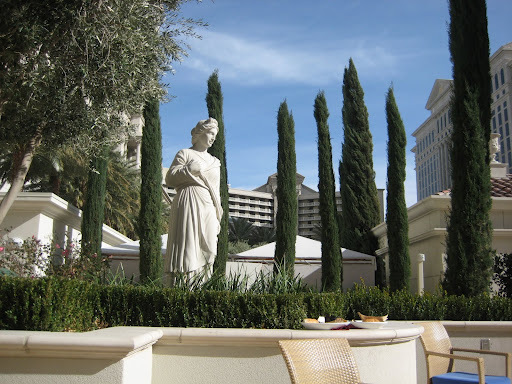 I’d rather tell you how unimpressed I was with Caesars. The place really shows its age; the rooms aren’t very nice, the ventilation isn’t very good, food options didn’t do much for me, I had a bad view … and the hotel was overpriced too. For example, they charged us $25 for wifi if we wanted it in the conference rooms and in our rooms. Oh, and that was $25 per day. Then, Caesars had the nerve to try and charge me double for my stay because they messed up and didn’t have me down for the special conference room rate. Thankfully, I had my reservation confirmation printed out and with me, so the situation could be corrected. Suffice it to say, when the snow storm hit Boston on Wednesday and I got “stuck” in Vegas another night, I moved next door to the Bellagio. Now that’s a class operation. This place was an upgrade in every way (and yet, not more expensive), from the comfortable bed to the turn-down service. Simply stated, the Bellagio should be the standard for every other hotel in Vegas. And the view. Wow, the view. 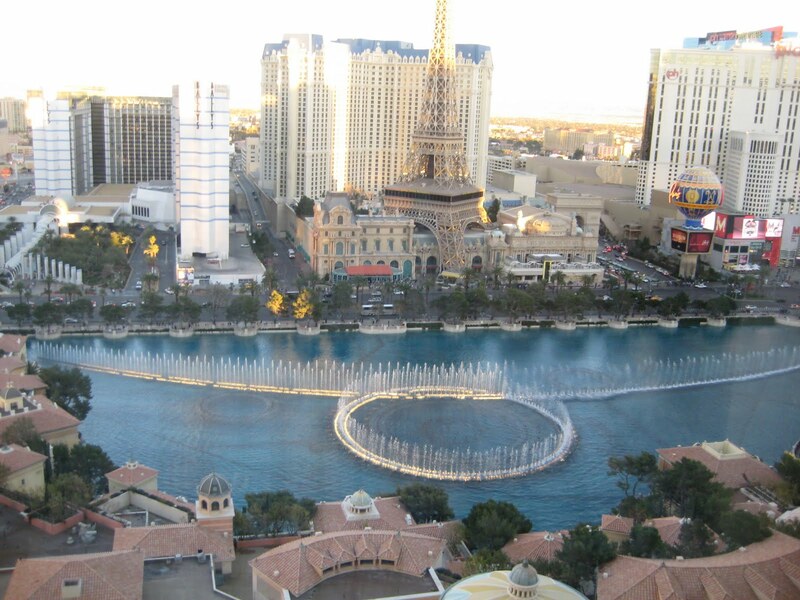 I paid $30 extra (on my own, not on the company dime) to have a room overlooking the fountains. Calling it “worth it” doesn’t even come close to doing it justice. Next time I go back to Vegas, I’m staying at the Bellagio again. It’s worth noting that I spent part of that extra night on Wednesday in “Old” Las Vegas, enjoying the Freemont Street Experience. That was, um, different. But it was a good time. I learned a lot on this trip, but the biggest lesson of all was that I need to get out to Vegas more often, and I need to go on a non-work trip so I can reallyenjoy myself. Here’s hoping that happens soon.